Slow cooked Tender Pork melts in the mouth, complemented by our unique jerk sauce which is packed full of bold flavors leaving you with a different experience every bite. 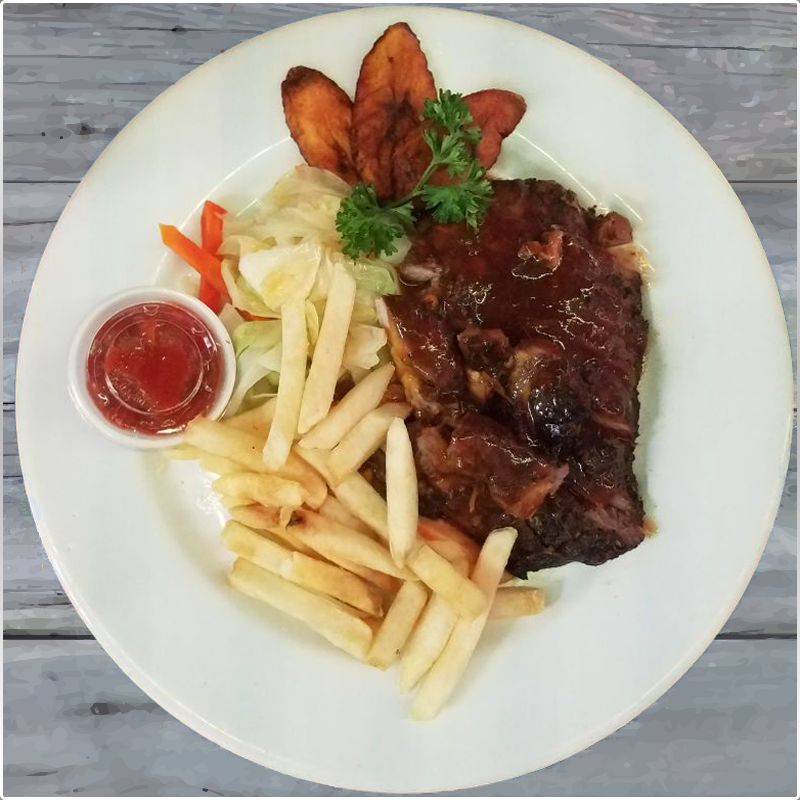 Served with our crispy zingy salad and your choice of fries, or rice and peas. Tender Slow cooked jerk pork in a moreish dark sauce, crispy salad, plantains.